Steven Pinker is a Canadian-American cognitive psychologist and linguist. Check out this biography to know about his birthday, childhood, family life, achievements and fun facts about him. 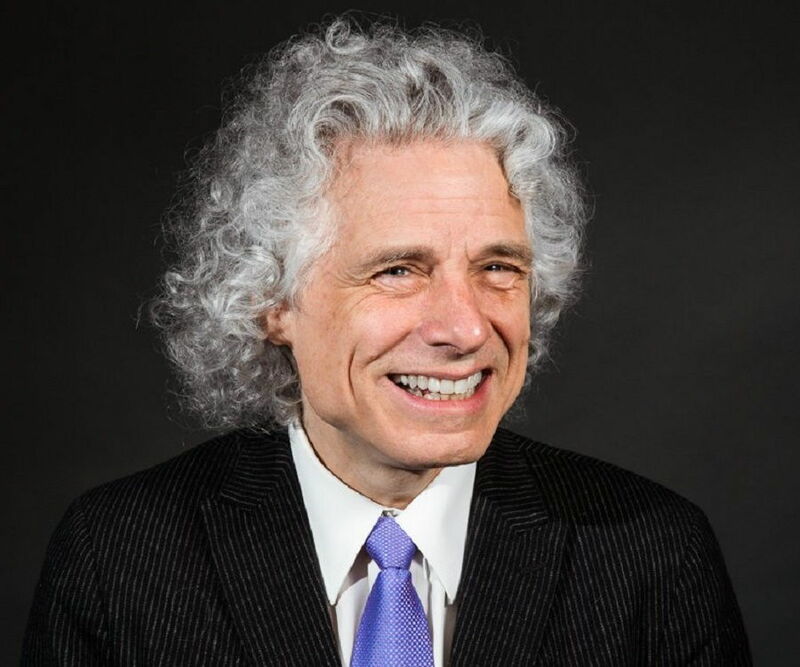 Steven Arthur Pinker is a Canadian-American cognitive psychologist and linguist, who has garnered recognition for advocating evolutionary psychology and the computational theory of mind. At present, he serves as the Johnstone Family Professor in the Department of Psychology at Harvard University. 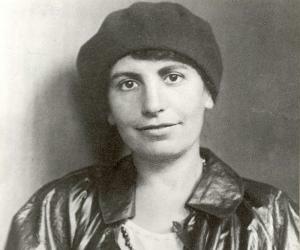 A native of Quebec, Pinker grew up in a middle-class but well-educated family. In 1979, he received his Doctorate of Philosophy in experimental psychology from Harvard University and subsequently, spent a year as a researcher at the Massachusetts Institute of Technology (MIT). Pinker then began his professional career as an assistant professor at Harvard and Stanford. In the ensuing years, he also taught at MIT; University of California, Santa Barbara; and New College of the Humanities, London. As a visual cognition and psycholinguistics specialist, he has researched about children's language development, mental imagery, shape recognition, regular and irregular phenomena in language, the neural bases of words and grammar, visual attention, and the psychology of cooperation and communication, including euphemism, innuendo, emotional expression, and common knowledge. He is also a popular science author and has published eight books for general readers as well as several technical books. Over the course of his illustrious career, he has accumulated numerous awards and distinctions, including the Troland Award in 1993, Humanist of the Year award in 2006, and Richard Dawkins Award in 2013. Steven Pinker was born on September 18, 1954, in Montreal, Quebec, Canada, as the oldest child of Roslyn and Harry Pinker. His father was a lawyer, who worked as a manufacturer’s representative for a while. His mother was initially a home-maker, but later became a guidance counsellor and high-school vice-principal. His younger brother, Robert, serves as a policy analyst for the Canadian government, while his younger sister, Susan, is a celebrated psychologist and author herself. Pinker received his high school education at Wager High School in Côte Saint-Luc, Quebec. In 1971, he enrolled at Dawson College, graduating two years later. He then attended McGill University, from where he received a Bachelor of Arts degree in psychology in 1976. In 1979, he got his Doctorate of Philosophy in experimental psychology from Harvard University under Stephen Kosslyn. He then invested a year in research at MIT before starting his career as an assistant professor at Harvard and later, at Stanford. Steven Pinker spent a year each at Harvard (1980-1981) and at Stanford (1981-82) as an assistant professor. He then returned to the Massachusetts Institute of Technology (MIT) to take a job in the Department of Brain and Cognitive Sciences. He was associated with the MIT from 1982 to 2003, for more than two decades. During his tenure at the MIT, Pinker served as the co-director of the Center for Cognitive Science from 1985 to 1994 and from 1994 to 1999, as the director of the Center for Cognitive Neuroscience. In 1995, he took a one-year sabbatical at the University of California, Santa Barbara. Pinker came back to Harvard as a full-time professor in 2003 and began to teach as the Johnstone Family Professor of Psychology. He received the honour of being a Harvard College Professor from 2008 to 2013. At present, he is a lecturer at the New College of the Humanities, a private college in London. Steven Pinker was still pursuing his doctorate degree when he started his research on visual cognition. Collaborating with Stephen Kosslyn, his thesis advisor, Pinker demonstrated through his research that mental images are scenes and objects as they seem from a specific vantage point and not a snapshot of its intrinsic three-dimensional structure. Pinker’s findings bear resemblance to neuroscientist David Marr's theory of a "two-and-a-half-dimensional sketch”. However, he contradicted Marr on the concept of object recognition. According to Marr, recognition is enabled by viewpoint-independent representations, whereas Pinker holds the view that specific vantage point representations are deployed in visual attention and object recognition, especially for asymmetrical shapes. Pinker, in the early days of his career, advocated for the computational learning theory as a method for recognising language acquisition in children. He put out a tutorial review and later published two books on the subject. These books were ‘Language Learnability and Language Development’ (1984) and ‘Learnability and Cognition: The Acquisition of Argument Structure’ (1989). In 1988, his collaboration with Alan Prince produced a significant critique of a connectionist model of the acquisition of the past tense and went on to cite a series of studies that deal with how people use and acquire a language. As per his argument, language relies upon two components: the associated memory of sounds, and what they represent in words, and the usage of rules as tools to manipulate grammar. He published the paper ‘Natural Language and Natural Selection’ in 1990, in collaboration with Paul Bloom. They put forward the idea that the languages that are used today have evolved through natural selection. His findings challenged the contemporary discontinuity based theories which considered language as an evolutionary accident, suddenly appearing along with the homo sapiens and proposed the concept of a continuity based view of human languages instead. Some of Pinker’s researches are about human nature and what science thinks about it. In 2007, he gave an interview on the Point of Inquiry podcast, where he mentioned five examples of defensible conclusions of what human nature is according to science. The first of this is the notion that sexes are not statistically identical. If there were to be a policy in place to get equal outcomes for both sexes, it would discriminate against one or the other. The second example states that individuals vary in personality and intelligence. The third example he gave is about individual choice, that people would always favour themselves and their family over an abstract concept like society. The fourth calls humans as self-deceived with each individual having a self-perception of being more competent and benevolent that they actually are. The last one simply states that people crave status and power. In 1984, Steven Pinker published his first book, ‘Language Learnability and Language Development’, in which he discussed his novel approach to the problem of language learning. His next book, ‘Visual Connection’, came out a year later. ‘The Language Instinct’, which was published in 1994, was his first book in a series in which he masterfully blended cognitive science with behavioural genetics and evolutionary psychology. ‘The Language Instinct’ was also one of his first works meant for the general audience. He discussed the human’s mind’s poorly understood functions and quirks in evolutionary terms in two of his books: ‘How the Mind Works’ (1997) and ‘The Blank Slate’ (2002). In ‘Words and Rules: the Ingredients of Language’ (1999), Pinker advocated that language could be a bridge between regular and irregular phenomena which result from computation and memory lookup, respectively. In ‘The Stuff of Thought’ (2007), he discussed a wide range of issues, including how words are related to thoughts and to the world beyond ourselves. In 2011, he put out one of his most popular books, ‘The Better Angels of Our Nature’, in which he proposed the concept that violence has decreased over the course of human history. He goes on to say that he does not believe that human nature has changed but it is simply made up of inclinations that compel humans towards violence and the ones that pull us away. With the desire to provide a writing style guide imbued with modern science and psychology, Pinker wrote ‘The Sense of Style: The Thinking Person's Guide to Writing in the 21st Century’ (2014). He revealed the reason why modern academic or popular writing is so hard to understand and listed the ways to create more comprehensible and unambiguous writing, especially in the non-fiction category. In 2004, Steven Pinker was named one of Time’s 100 most influential people in the world. 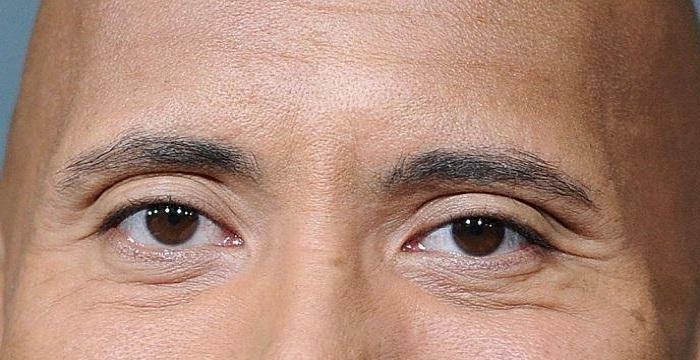 He was inducted into the Natural Academy of Science in 2016. He received the Early Career Award in 1984 because of his research in cognitive philosophy. The said research also garnered him the Boyd McCandless Award in 1986, Troland Research Award in 1993, Henry Dale Prize in 2004, and the George Miller Prize in 2010. 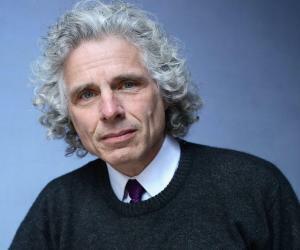 Pinker was awarded the American Humanist Association's Humanist of the Year award in 2006 because of his books for the general audience which have helped elevate public understanding of evolution. In 2013, he became the recipient of the Richard Dawkins Award. Pinker has also been nominated for the Pulitzer Prize twice, in 1998 and 2003. Steven Pinker has been married three times. 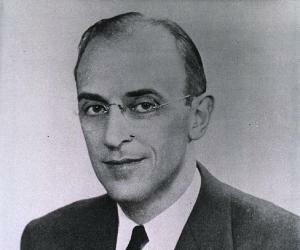 His first wife was Nancy Etcoff, a psychologist and a faculty member at Harvard Medical School, who he married in 1980. They divorced in 1992, after 12 years of marriage. Pinker married his second wife, Ilavenil Subbiah, in 1995, and they divorced in 2006. A Malaysian national, Subbiah is also a psychologist and a well-respected member of her field. In 2007, he wed his third and current wife, the philosopher and novelist Rebecca Goldstein. Through Goldstein, he has two stepdaughters, the novelist Yael Goldstein Love and the poet Danielle Blau. Pinker is from a Jewish background. His grandparents were immigrants from Poland and Romania who came to Canada in 1926. They later set up a small neck-tie factory in Montreal. He is highly appreciative of his Jewish ancestry. 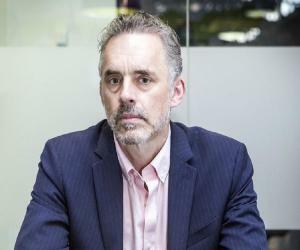 Although he has been an atheist since he was 13 years old, he has stated that there have been times in his life when he had described himself as a “serious cultural Jew”. He has also stated that when he was a teenager, he used to regard himself as an anarchist but outgrew such convictions when he had the first-hand view of the civil unrest following a police strike in 1969. 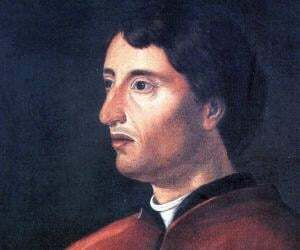 According to him, while that experience destroyed his early political beliefs, it also gave him a foretaste of the life of a scientist. Pinker is a vocal atheist and has been often compared to the likes of Richard Dawkins, Sam Harris and the late Christopher Hitchens. He considers atheism to be “an empirically supported view” and has stated that theism and atheism are competing, empirical hypotheses. He has dubbed himself an equity feminist, which, according to him, is “a moral doctrine about equal treatment that makes no commitments regarding open empirical issues in psychology or biology". He talked about a test which categorized his political inclination as neither right nor left, leaning more towards libertarian than authoritarian. In 2001, Pinker served as an advisor for PBS’ documentary series ‘Evolution’.